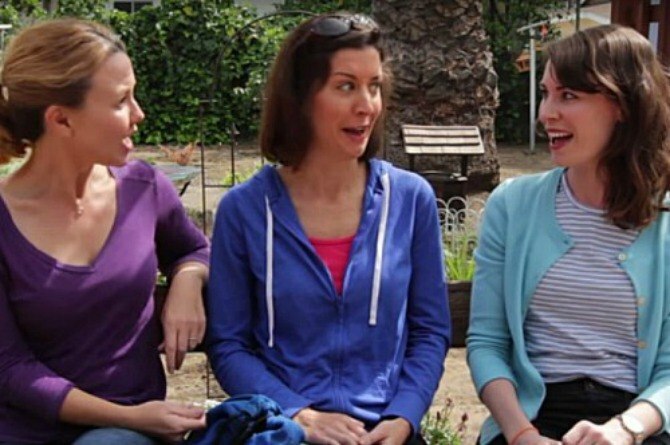 Find Out The Secret To Becoming a "Supermum"
YouTube sketch comics/mums, The BreakWomb, recently released a video that reveals the secret to becoming a "supermum"! In case you were wondering, it's a lot easier than you might expect. The real secret to becoming a "supermum"...is lying. Their hilarious video explains the logic behind this theory! Busy mums tend to get a little competitive and unknowingly one up one another when talking about their parenting skills or accomplishments. For some mums, like the three mothers of The BreakWomb, this can result in them feeling less than super. That's why they started lying about the most hilarious things they could think of to make themselves sound more super than they believe themselves to be. "We brought out own sand. It's Artisanal sand." That little line should show those other moms who the real supermum is! "We're taking an opera appreciation class. We're actually composing our own opera..." Now you're thinking like a real supermum! These mums may have hilariously mocked the idea of a supermum, but in all seriousness, there is no real secret to being a supermom because every mum is super. Raising kids is one of the hardest things a woman will ever do, and every woman approaches it differently. That doesn't mean any mum is better than another. Just because one mum brought artisanal sand to the park, or another attends opera appreciation classes with her three-year-old, doesn't make her super. The key to being a supermum is simply being the best mum you can be! Watch The BreakWomb's hilarious new video below, and let us know what you think of their secret to being a supermum!